As a communal real estate company, Vereinigte Bonner Wohnungsbau AG, VEBOWAG for short, has been ensuring since the year one that there is affordable housing space available in Bonn. In the course of the demographic change, the energy-efficient building of barrier-free accessible flats is currently one of our core activities. At present, we have about 6,300 own flats available, over three quarters of which are subject to rent control and occupancy commitment. Being the largest housing company on the real estate market of Bonn, we offer modern housing space at fair prices. It is important to us to make a substantial contribution to ensure that our tenants feel comfortable in their environment. Our social commitment is multifaceted; we bring initiatives and events in the neighbourhood into being and support our tenants with a variety of counselling offers. Förderverein für die Aus- und Fortbildung im Europäischen Bildungszentrum e.V. VEBOWAG owes its formation to the high politics. On May 10, 1949, the Parliamentary Council chose Bonn as federal capital. As such, Bonn had to meet completely new demands – and all that against the background of the devastating repercussions of World War II: everywhere in the still young Federal Republic of Germany there was housing shortage. In the building sector, particularly in residential construction, the city had to face a big challenge – this is what made the foundation of a municipal housing association obvious. It was Bonn craftsmen who wanted to participate in the building boom for ministries and embassies after Bonn had been chosen federal capital.. Consequently they founded the „Gemeinnützige Bonner Wohnungsaktiengesellschaft, GEBOWAG for short, on April 18, 1950. 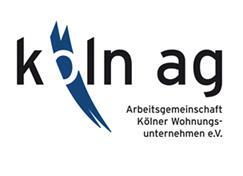 At that time, the city of Bonn took a 55 per cent share in the new association that was intended to provide mainly low-income population groups with high-quality yet affordable living space. For more than two decades, GEBOWAG has been standing the test as an instrument of municipal residential construction. With the administrative district reforms, Beuel and Bad Godesberg were suburbanised to the city of Bonn and their housing companies were merged into Vereinigte Bonner Wohnungsbau Aktiengesellschaft, VEBOWAG for short, in 1970. To this day, VEBOWAG has been continuously expanding its housing stock – especially through building publicly funded flats. At present, the city of Bonn is the main shareholder of the company with a share of 93 per cent.